We take great pride in our membership. 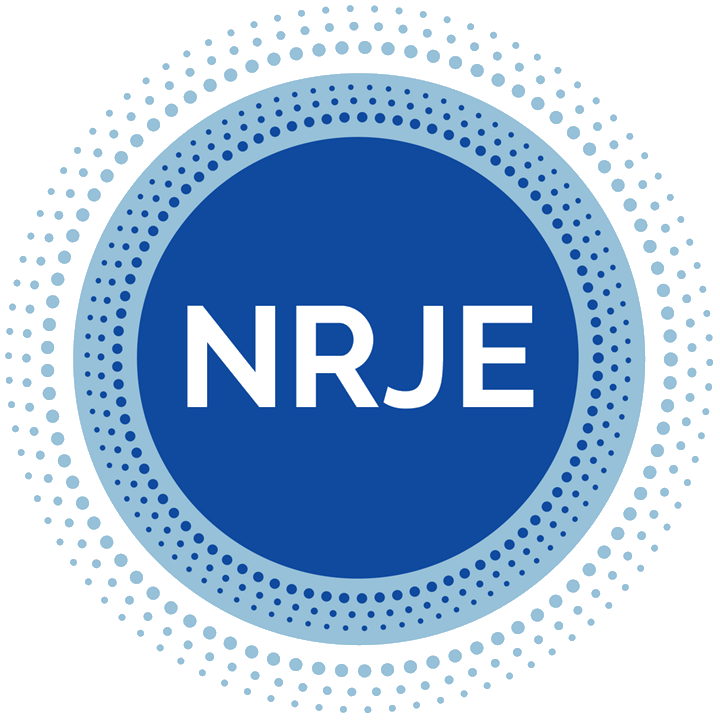 We invite you to share your professional accomplishments with your NRJE colleagues. Our next update will be in conjunction with our conference in June 2019. Nettie Aharon, Senior Project Associate of Rosov Consulting, and Alex Pomson, Managing Director of Rosov Consulting, published an article on Israel at Camp in the Journal of Jewish Education titled “What’s Happening at the Flag Pole? Studying Camps as Institutions for Israel Education”. Greg Beiles recently completed his doctoral thesis: The Parent Child Relationship as a Paradigm for Teaching and Learning in Rosenzweig and Levinas, at the Department for the Study of Religion at The University of Toronto. Owen Gottlieb‘s (Rochester Institute of Technology/ConverJent) team’s game series, Lost & Found which teaches Maimonides Mishneh Torah, is set in 12th century Fustat (Old Cairo) has been on tour for the last few months. The game was 1 of only 15 games featured at the Smithsonian American Art Museum (SAAM) Arcade in July. The series has gone on to win Best Non-Digital Game at the 2018 Meaningful Play Conference, a Bronze Medal at the International Serious Play Awards, and was featured at MIT Connected Learning, and Boston Festival of Independent Games (FIG). Learn more about Lost & Found at www.lostandfoundthegame.com and about Owen’s Initiative in Religion, Culture, and Policy at the RIT MAGIC Center at magic.rit.edu/rcp. Among Owen’s recent publications are these two: Re‐playing Maimonides’ codes: Designing games to teach religious legal system in the journal Teaching Theology and Religion (Wiley Press) and. Time Travel, LabourHistory, and the Null Curriculum: New Design Knowledge for Mobile Augmented Reality History Games in the International Journal of Heritage Studies (Taylor & Francis). Ben Jacobs guest edited and contributed an article, “Teaching Kids to Care About Jewish Problems: A Noddings’ Approach,” to the most recent issue of the journal Theory Into Practice (57:4, Fall 2018), entitled “Critical Lessons: Nel Noddings and Social Education.” The articles in this special issue touch on subject matter, pedagogy, teachers, students, stakeholders, contexts, and much more, that span the range of the social (studies) education field. The issue is particularly timely insofar as it uses Noddings’ work as a springboard for addressing how critical thinking, contention, reflection and dialogue can be incorporated effectively across all levels of schooling, especially during these fractious times. One of the special features of this special issue is a closing contribution from Noddings herself. Saul Kaiserman was honored in January, 2019 by the ARJE (Association of Reform Jewish Educators) as a “distinguished educator.” Just under forty educators have been honored with this award since it was instituted in 2004. Meredith Katz and her colleagues Jeff Stanzler and Michael Fahy at the University of Michigan have received a 2-year Covenant Foundation Signature Grant to continue their work with The Jewish Court of All Time (JCAT), a 10-week online simulation for middle school students in day schools. The grant will support work to expand the civic engagement content and scaffolding of JCAT, to increase the number of schools served, and to provide additional professional development opportunities for educators. Moshe Krakowski, Associate Professor and Director of Master’s Program at Azrieli Graduate School of Education at Yeshiva University, responded to the topical conversation of Yeshiva education through the prism of his years of research in the field. Jeff Kress and Jon Levisohn have recently edited a book titled: Advancing the Learning Agenda in Jewish Education (Academic Studies Press). Jeff Kress and Abby Uhrman were recently a part of a roundtable at the Association for Jewish Studies annual conference, (together with NRJE members Daniel Olson and Fern Chertok, who chaired, titled “A Part” or “Apart:” Research on Inclusion of Persons with Disabilities in Jewish Life. Moshe Sokolow, Azrieli Graduate School of Education at Yeshiva University Associate Dean, launched a new Book on Rav Yosef Dov Soloveitchik. Judd Levingston recently joined the Board of Trustees of the Council for Spiritual and Ethical Education, a creative organization focused on character education, service learning, diversity and the teaching of religion in independent schools. Alex Pomson, Managing Director of Rosov Consulting, is co-author with Randal F. Schnoor of the book Jewish Family: Identity and Self-Formation at Home. Wendy Rosov was a guest on the podcast It’s Who You Know! with Michelle W. Malkin. Meredith Woocher joined the Rosov Consulting team in March 2018 as a Senior Project Associate. Laura Yares is pleased to announce her appointment as Assistant Professor in the Department of Religious Studies at Michigan State University beginning fall 2018. She is also a core faculty member of the Michigan State Jewish Studies Program. She is currently working on a book length treatment of her doctoral work on 19th century Sunday schools, and beginning a new project researching Jewish learning in cultural arts contexts, with the support of the Mandel Center for Studies in Jewish education. It is with mixed emotions that we announce the retirement, effective July of 2017, of our longtime colleague and friend, Dr. Isa Aron, professor of Jewish education in the Rhea Hirsch School of Education at Hebrew Union College-Jewish Institute of Religion. A graduate of Swarthmore College and the University of Chicago, Isa came to the Los Angeles campus of HUC-JIR to work as the educator at the Skirball Museum in 1978, and she joined the faculty in 1984. During her influential career as a professor and scholar, Isa has written on a daunting array of topics, from moral education, to the philosophy of education, and congregational change. The breadth of Isa’s interests is mirrored by her capacity and willingness to speak to multiple audiences, having written for many publications, scholarly and popular alike. One of liberal Judaism’s most indefatigable and innovative thinkers, Isa will continue to work with the Union for Reform Judaism to advance her current initiatives, the Bnai Mitzvah Revolution and Reinventing Congregational Education, which hold the promise of re-energizing congregational education. Erica Brown is the director of the new Mayberg Center for Jewish Education and Leadership at The George Washington University and an associate professor in GW’s Graduate School of Education and Human Development, where the Center is housed. Owen Gottlieb, assistant professor of interactive games and media and MAGIC Center affiliate, at Rochester Institute of Technology, co-presented the workshop “The Humanities Arcade: Playing with History and Culture in the Digital Age” at the 50th anniversary of the National Endowment for the Humanities’ Human/Ties conference at The University of Virginia in September 2017. He presented the digital prototype (funded by the NEH) of Lost & Found, a game to teach medieval religious legal systems, beginning with the Mishneh Torah. The project was selected to be in the arcade alongside PBS’ Mission U.S. and USC’s Walden. In September, Owen received an NSF grant to build out a network of early career Games and Learning scholars with Co-PI Crystle Martin (UC Irvine). His current research has a few branches – the Initiative in Religion, Culture, and Policy at the RIT MAGIC Center (games and interactive media for religious literacy, acquisition of cultural practices, and policy impact). Recently, he also presented at Hebrew Union College’s Symposium One with a discussion lead by Lisa Grant. Owen is editing an upcoming special issue of Gamevironments: Jewish Gamevironments. Abstracts due in March. See the call for papers here. Barry W. Holtz, Theodore and Florence Baumritter Professor of Jewish Education at JTS, has edited a volume collecting the major works of Prof. Joseph Lukinsky z”l, one of the giants in our field. This recently published 500 page book,entitled Maybe the Lies We Tell are Really True: Selected Writings on Education, Judaism and Jewish Education, is a joint publication of JTS Press and the William Davidson School. There are a limited number of hardcover copies available to NRJE members at the discounted rate of $25 including domestic shipping. Checks should be made out to JTS Press and sent to Prof. Barry Holtz/Jewish Theological Seminary/3080 Broadway/New York, NY 10027. (Sorry, no credit cards!) A paperback version will be available on Amazon.com in the coming months. Rachel Lerner is the dean of the Graduate Center for Jewish Education at the American Jewish University. She earned her Doctorate in Education from JTS as a Wexner Graduate Fellow/Davidson Scholar, where she studied how vision-guided education is implemented through the socialization of new teachers. Dr. Lerner has taught Masters-level education students at both the American Jewish University and the Jewish Theological Seminary, supervised student teachers in day schools and part-time Jewish schools, and held leadership positions in Jewish overnight camp. She has worked as an administrator and teacher in Jewish day schools—at both the elementary and high school levels. Kate O’Brien (Wm. Davidson ’07 and JTS ’07) is now Director of Education at the Foundation for Jewish Camp, where she will be providing Jewish educational insight, direction, and coaching for the breadth of FJC’s programs. Most recently, Kate was the Director of Education, Innovation & Organizing at The Workmen’s Circle. Diane Tickton Schuster has been appointed as Director of Portraits of Jewish Learning (PoJL), a new project of the Jack, Joseph and Morton Mandel Center for Studies in Jewish Education at Brandeis University. In Fall 2016 researchers and research-minded practitioners were invited to propose narratives about how learning occurs in Jewish education. Twelve papers were commissioned that will depict learning in diverse settings (including day schools, after school programs, Israel internships, adult Jewish learning classes). Dr. Schuster is mentoring PoJL Fellows both individually and as a cohort as they strive to create a cohesive collection of learning portraits and deepen the discussion of what we mean by Jewish learning. A description of the project and the papers selected may be found here. Laura Wiseman was installed in November 2016 as the Koschitsky Family Chair in Jewish Teacher Education at the Israel and Golda Koschitsky Centre for Jewish Studies at York University in Toronto. From Benjamin Jacobs: It is my sad duty to report the passing of our colleague, friend, and mentor Harold Wechsler z”l. I say “our” colleague, friend, and mentor because Harold served in one or more of these capacities for many members of the Network, not to mention scores of students and faculty members outside of the NRJE over a long career in academia. Following stints at the University of Chicago and the University of Rochester (his beloved adopted town, despite the massive snowdrifts), Harold was professor of History of Education and Jewish Education at New York University, where he co-directed the doctoral program in Education & Jewish Studies, guided many students and theses to completion, and took in a Mets game whenever he could. He also served for the past several years as chair of the Network’s awards committee. Indeed, he was hard-working and remarkably dedicated to the profession till the end. Harold died unexpectedly but peacefully at his home sometime Thursday night. He was predeceased by his wife Lynn Gordon, also an accomplished educational historian, and is survived by his children Abby (and family) and Sam. Read more about Harold’s extraordinary work, research and career shaping our field. Learn more about the work of our colleagues. These blogs are direct links with the research, publications and updates from our constituent institutions, and provide a window into our colleagues’ work and practice. Any of our constituent institutions currently publishing regularly updated blogs that link NRJE members with research and publications and help us to access our colleagues’ practice are invited to submit listings for this page.